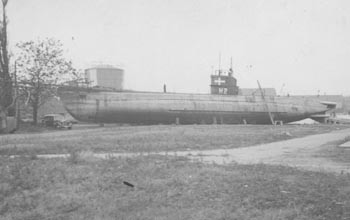 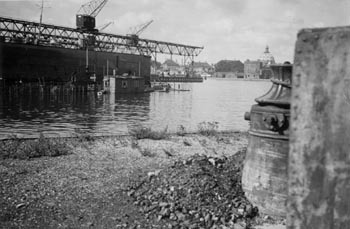 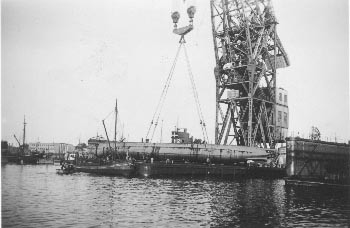 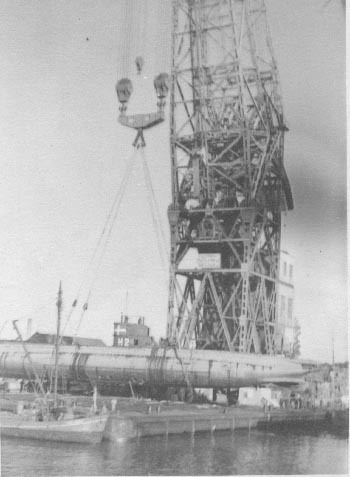 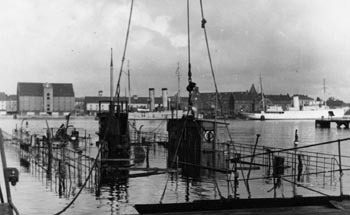 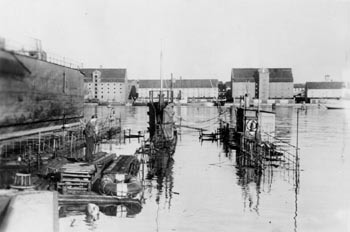 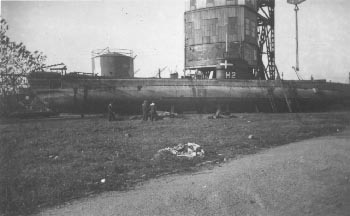 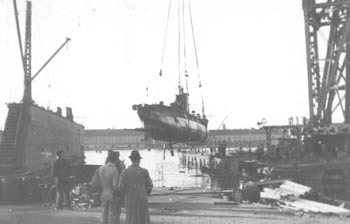 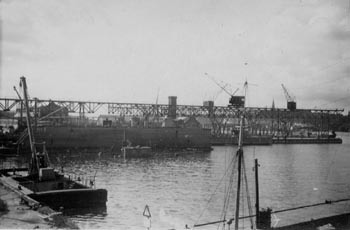 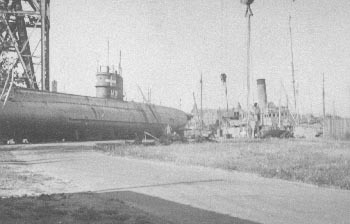 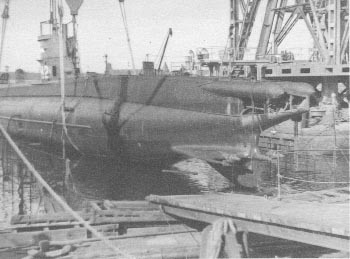 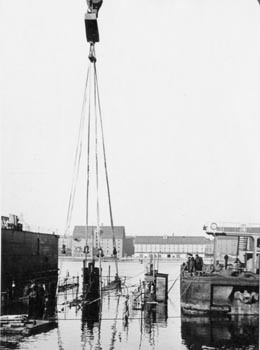 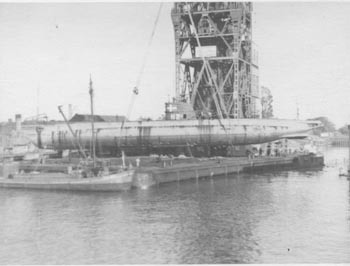 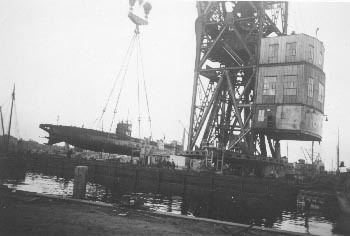 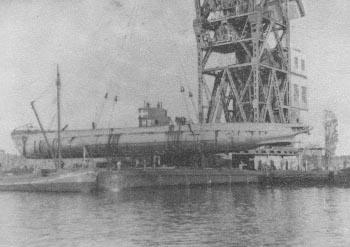 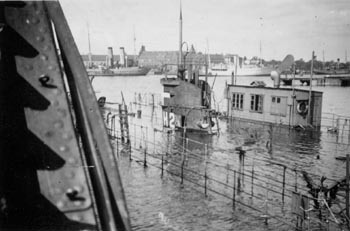 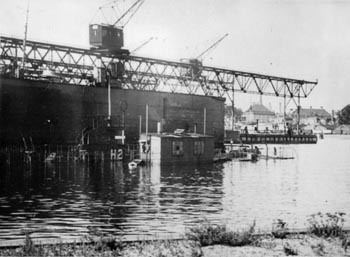 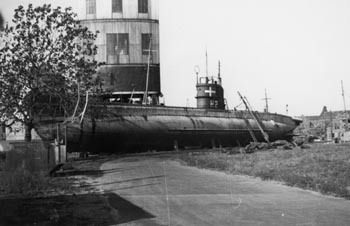 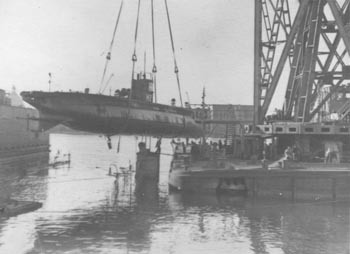 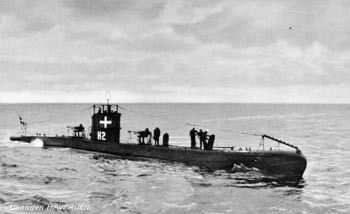 The submarine HAVFRUEN was being refitted in the floating dock at the Royal Dockyard on August 29th, and it was scuttled along with the floating dock. 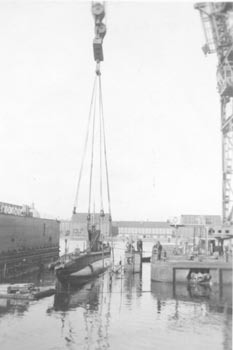 HAVFRUEN was raised on September 8th and placed on land, where it was made watertight, before it was returned to the water on the third of December. 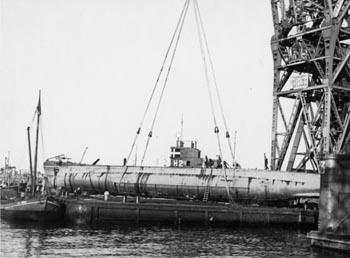 The sub sank December 4th, and was raised again two days later. 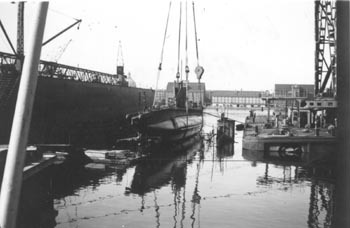 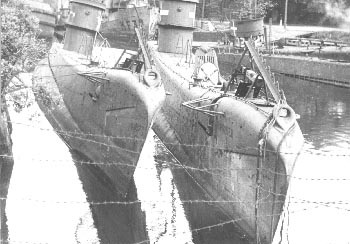 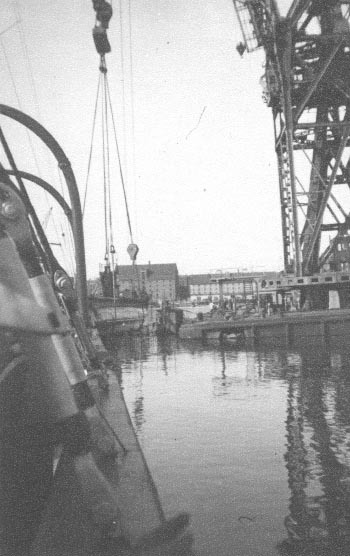 HAVFRUEN was found at the Royal Dockyard in May 1945. 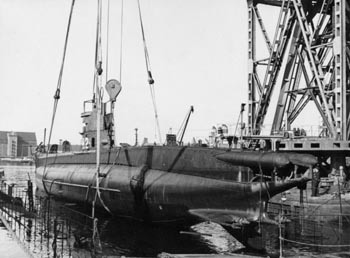 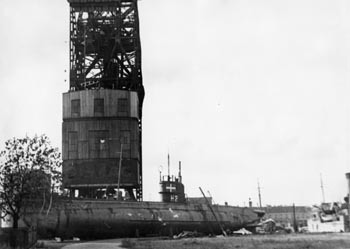 The navy didn't deem it worth repairing the sub, and it was sold for scrap in 1950.